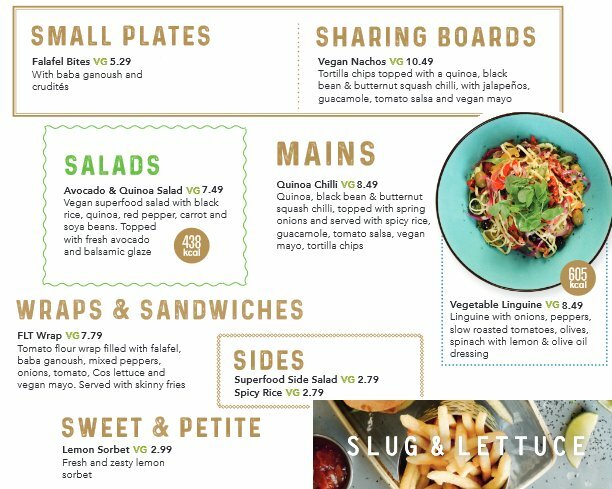 High-street favourite, Slug and Lettuce, has rolled out a brand-new menu across all sites in the UK, welcoming several nutritious vegan dishes, along with a sumptuous selection of cocktails, offers and main courses. With the number of vegans in Britain rising by 360% over the past 10 years*, the stylish new menu has expanded their vegan offering to cater for the ever-increasing demand. From a relaxed daytime we transform into a lively night time venue perfect to meet friends, dance, hold parties, listen to great music – whatever you fancy really. Each of our Slug & Lettuce venues are different and offers entertainment loved by their own customers.